Mr. Burton founded Avidasports(TM) in 2009, a company that has championed the development of “Athletic Telemetry(TM).” The revolutionary science is able to deliver real-time performance feedback to coaches and athletes as they train. Mr. Burton holds multiple patents on the technology he invented for athletic telemetry sensor devices and related products. He also holds patents on vehicular interconnection devices related to other businesses he has founded. A mechanical engineer by training, Mr. Burton is also a entrepreneur and founder, President and CEO of multiple privately-held business enterprises. Mr. Burton founded an engineering and defense contracting company in Macomb County, Michigan called Burtek in 1987. Mr. Burton built the business and created more than 500 jobs before selling Burtek in 2007. He subsequently founded MilAIR, LLC, a defense contracting company specializing in the development and manufacture of environmental control units. He has 31 years of intensive design/analysis/build experience of special purpose vehicles for commercial and military use. 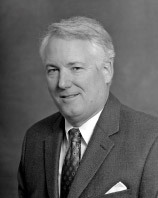 Prior to founding Burtek Inc., Mr. Burton served as Chief Engineer of PSI Mobile Products, then as Vice-President of Engineering of McGraw Commercial Equipment Company. He is a registered Professional Engineer in the State of Michigan. Mr. Burton earned his Bachelor of Science in Mechanical Engineering from Tufts University. Avocation: Sailboat racing. Two-time World Champion, One-Time North American Champion, Two-time National, and seven-time Great Lakes Champion Sailor.